There is nothing better than a big plate of stinky cheese at Christmas time. And for that real authentic feel that cheese needs to be bought from a nearby deli (preferrably independent and family run) sometime during the 48 hours before Christmas. 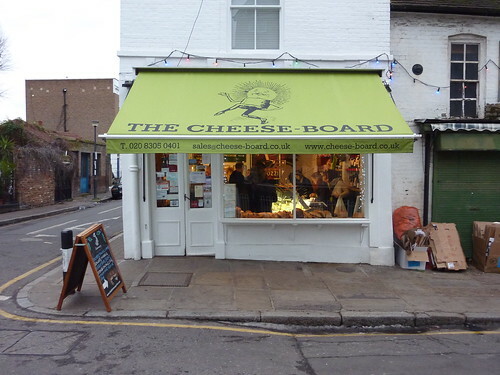 The Cheese Board in Greenwich (pictured above) is our local deli. It’s a joy to visit. I’m especially looking forward to the matured gouda. So too the brie which I hope will ooze at room temperature. Just don’t tell friend and cheese-guru Philip who runs The Yellow Wedge on the other side of town. He’ll be livid we didn’t go to him for our cheese order. Maybe we’ll go over to his pad next year.